Kalaymyo (Kalemyo), also known as Karlaymyo, is a town in the Sagaing Division of Burma. It is located upstream from Mandalay and Monywa on the Myittha River, a tributary of the Chindwin River. The town is the district headquarters of the Kalay District. It has gained importance with trans border movement enabled between Burma and India following the 165 kilometres (103 mi) Tamu–Kalayamyo road built by the Border Roads Organization of India. 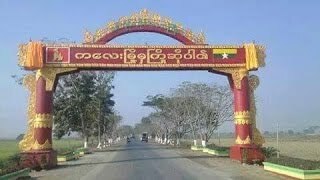 The earlier name of the town ‘Karlaymyo,’ renamed now as ‘Kalaymyo,’ means “a town surrounded by four satellite towns” in the Burmese language. "Kalaymyo" means "a child/kid town" in Burmese Language.